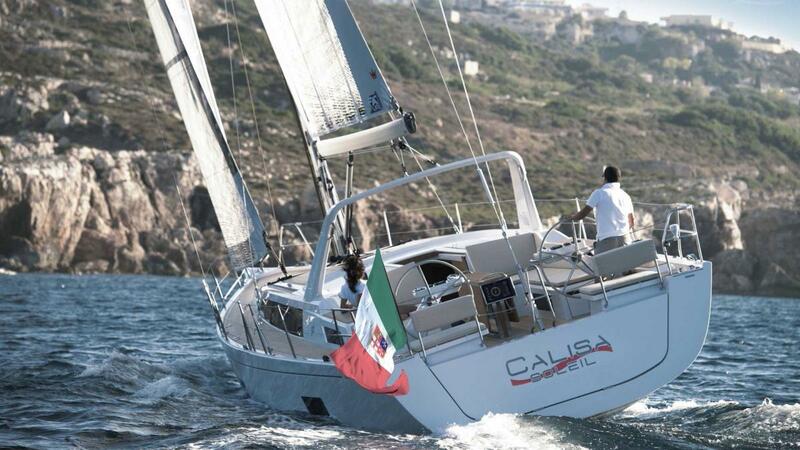 The pleasure of modern blue water sailing. 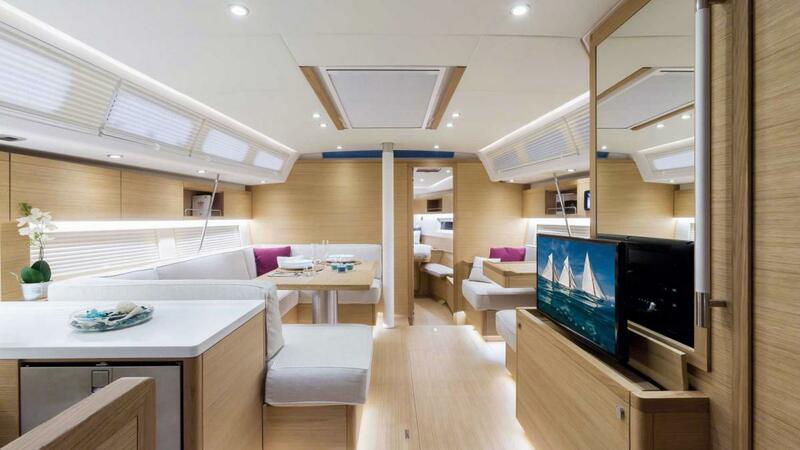 Conceived from the timeless style of Grand Soleil’s performance range, the Grand Soleil 46 Long Cruise is fully optimised for distance. 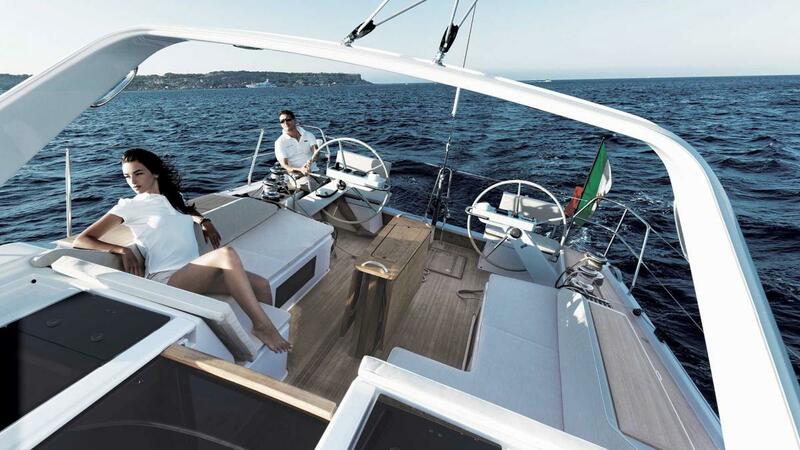 Nauta Design embellishes its “Made in Italy” style and beauty while ensuring the GS 46 LC is a stand out for its size containing luxury details and technology from custom-made yachts. 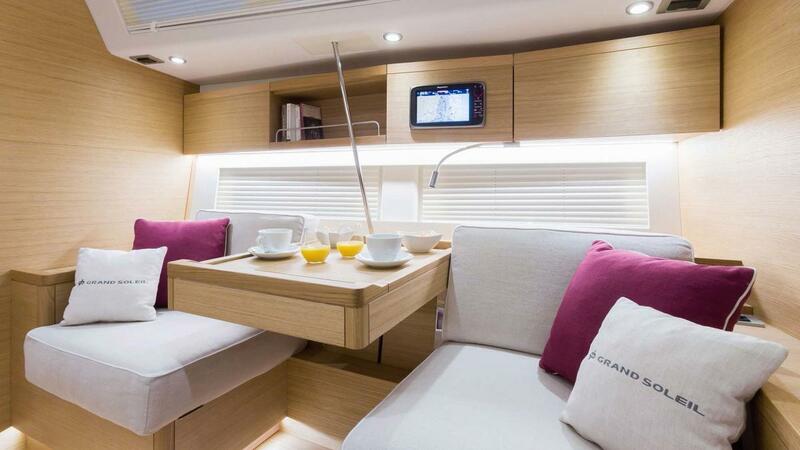 It’s easy to feel at home on the Grand Solieil 46 LC. 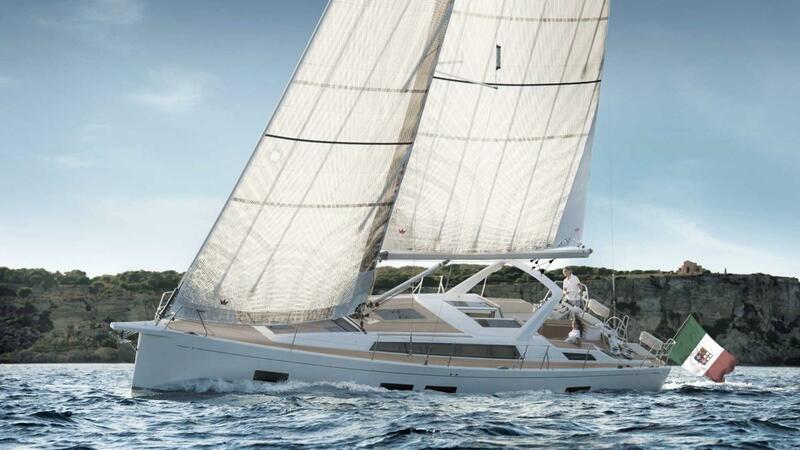 The greater hull volume provides stability and just as important allows for distance cruising provisions. The larger fresh water and fuel tanks, battery bank and other heavy equipment are mounted lower in the centre of the boat. 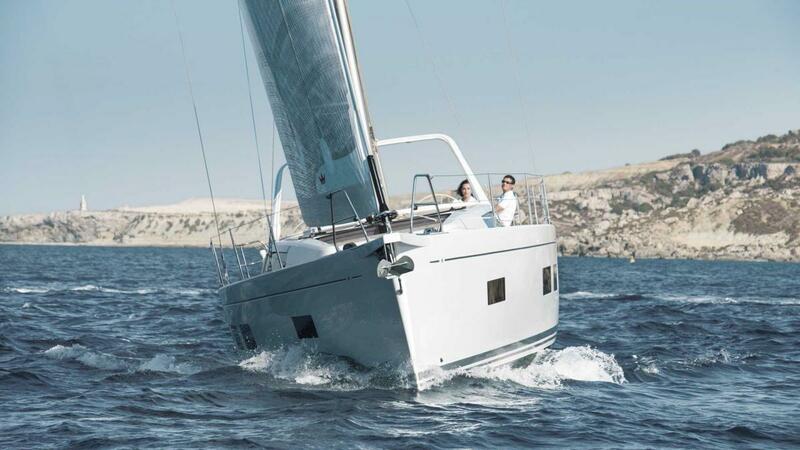 The helmsman can easily make all manoeuvres safely when sailing single handed, having a reduced crew… even on long passages. 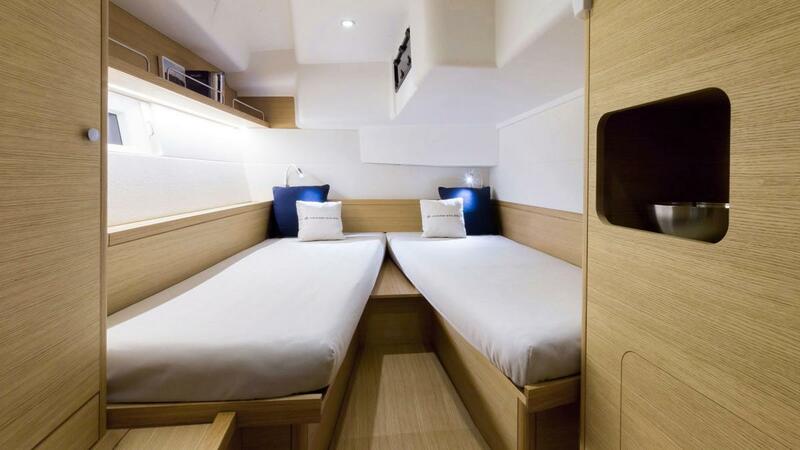 The manner in which all control lines are led below deck to the helm station provides a “string free” cockpit with plenty of space for family members and friends to relax in an obstacle free environment. 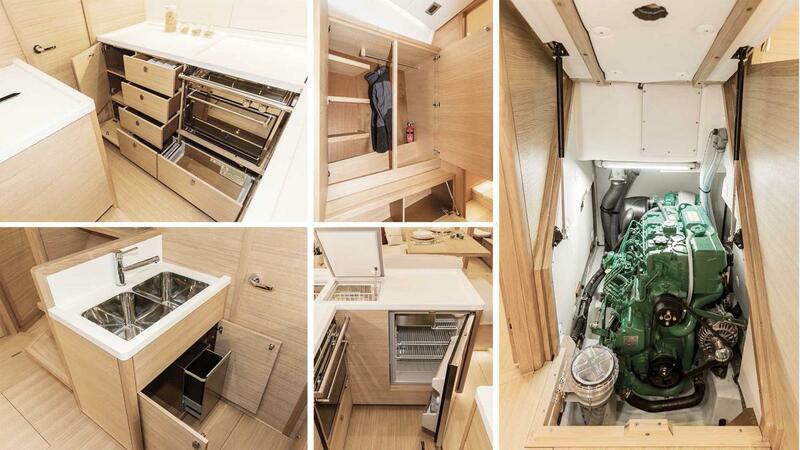 Whether you’re cruising the Bay of Islands or the South Pacific, different situations require a smart design, ergonomics, heaps of storage, duel functionality and essential space for necessary equipment. 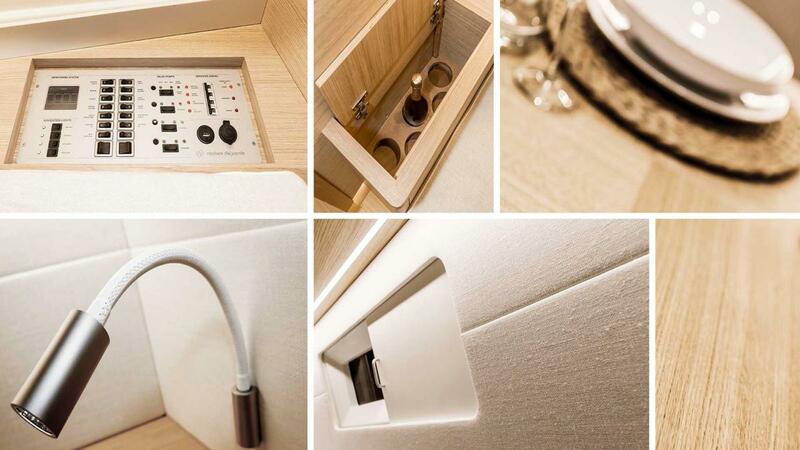 • Separate shower in Owner cabin, with a well-configured box cubicle. The GS 46 LC competitive nature is apparent when racing, as the boat has been optimised to give the best possible performance in both IRC and ORC. 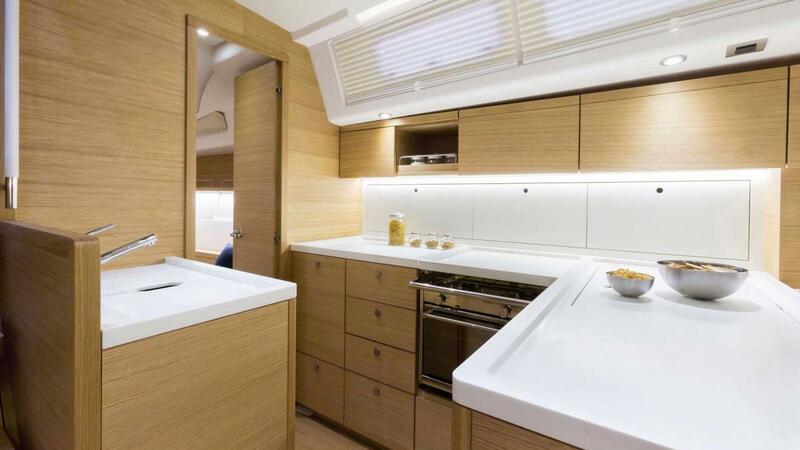 The magic touch of Attivo Design and Mauro Sculli creates a space that epitomises discreet, modern luxury and comfort for the non racers aboard. 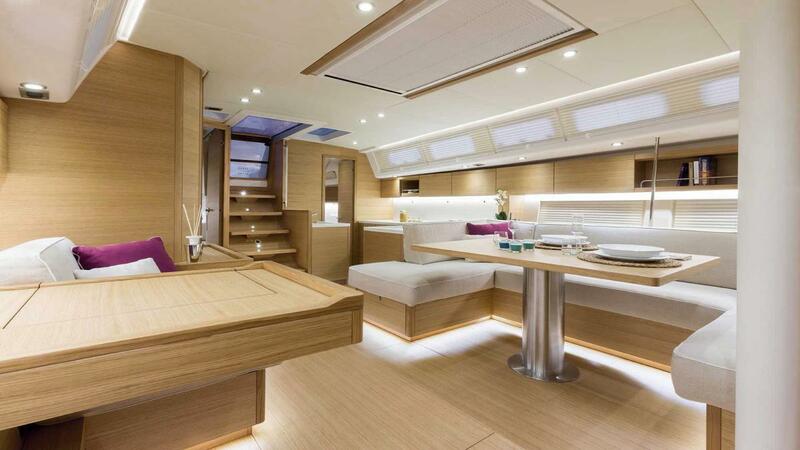 Every Grand Soleil 46 is unique as is their owners. Each boat is personalised to make it distinct to others, allowing owners to choose the solutions that suits their cruising style. Vacuum bagging infusion technology is used in the hull optimising the fibre resin ratio and the elimination of any potential air bubbles between the layers of lamination. 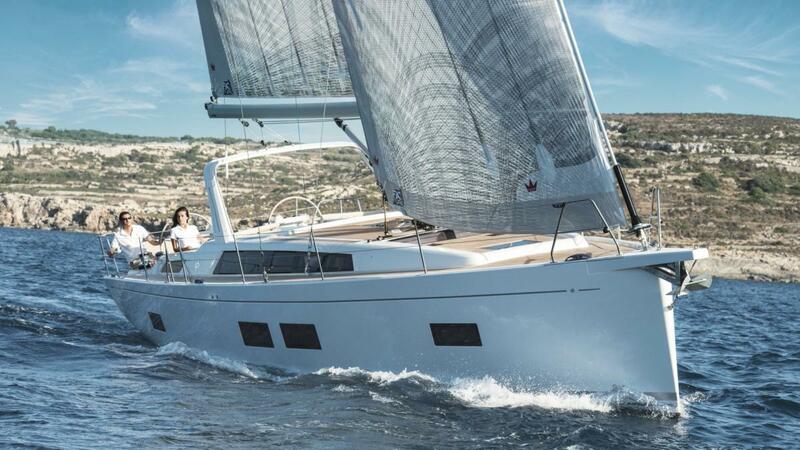 The Grand Soleil 46 LC guarantees a lighter more rigid hull. 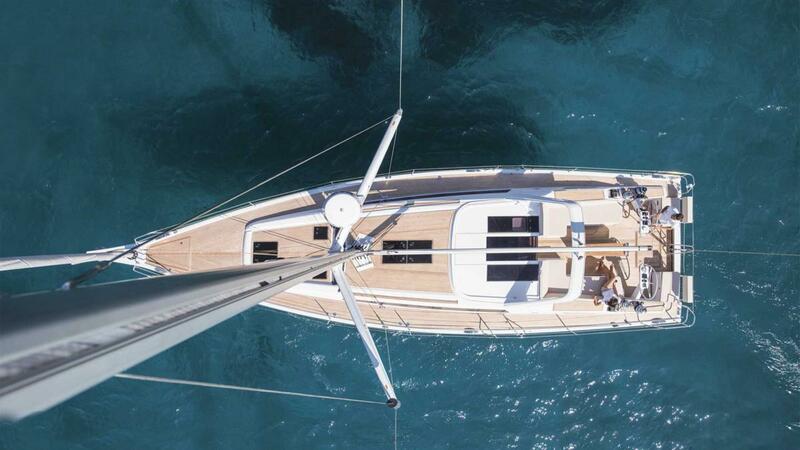 The torpedo shaped keel, constructed as a single piece, with a ballast ratio of 37% and a very low centre of gravity, guarantees the best possible performance whilst incredibly stable and safe.